How many careers, friendships, and marriages will be saved by Gmail’s Undo Send feature? We’ll never know. It’s remarkable that it took six years for Google to bring it out of beta, and more remarkable that it still isn’t turned on by default. But before Google tackles that feature request, I’ve got another career-saving idea. 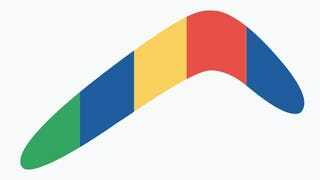 Google should buy Boomerang, and permanently integrate it into Gmail. Like Undo Send, it’s a Gmail (and Outlook) feature that power users have already been enjoying for years. And like Undo Send, it’s something that practically everyone could use at some point in their lives. But unlike Undo Send, it’s not just hanging around Gmail Labs waiting for someone to remember it exists and make it an official part of Gmail. Boomerang is a gigantic Gmail hack owned by a totally separate company, which charges upwards of $5 a month for the service. Personally, I pay $150 a year for the pro version of Boomerang. No joke. 150 freaking dollars? Does it come with a sous vide steak? Nah. It comes with the incredible ability to throw away an important email when you don’t have time to deal with it—and have that email come right back when you do. For example, let’s say I’d like to take up Nancy on her gracious offer of some galvanized wire mesh. (Eric took the last roll.) But I’m in the middle of writing an important story, and I can’t talk to her right now. Should I star the email? Leave it as unread? Put it in a special folder? How do I keep this extremely important email from getting buried under the rest of my inbox? Hit that little magnifying glass icon at the upper-left corner of the image for a closer look. I know that tomorrow afternoon is going to be pretty light, though. So I press the Boomerang button, hit the “Tomorrow Afternoon” button... and watch the email disappear. For now. Tomorrow afternoon, it pops up right on top of my inbox. Which triggers a notification on my desktop. And my phone. And maybe my smartwatch, too. All of which makes it way the heck safer than relying on my brain to remember to go look through old starred emails. And that’s not the only thing that Boomerang can do. Send messages later—you know, at sane hours when people will actually read them. I have a lot of ideas late at night, when my East Coast colleagues are already fast asleep. Or maybe I’ll be chatting with someone overseas. I need to write down my idea and send it right away, so I don’t forget. Check out that Send Later button at the bottom of the compose window. And the checkbox! Would I rather that idea get delivered to them now, when they probably won’t read it right away and it’ll get buried under a stack of other email by the time they wake up? Or later? (I think you can guess the correct answer.) I press two buttons, and the email hits my recipients’ inbox at a time when they’re way more likely to see and appreciate it. And then there are the checkboxes. (Oh, how I love the checkboxes.) They make sure that I rarely have to worry about whose responsibility it is to reply to an email. Have you ever sent an email to a whole group of people, hoping for volunteers, nobody chimes in, and then you forget you ever sent it because there was no reply? Check a box and Boomerang sends you a reminder if that happens. Isn’t this just like Google Inbox? Kind of. Inbox takes your Gmail and gives it a similar “Snooze” feature, but also removes a lot of the organizational cues like when an email originally arrived. You can totally snooze an email and have it come back later, though, with just a swipe in the mobile app. Which is exactly how I’d like it to work when or if they bring it to Gmail—so I don’t need to change the way I triage email completely. Sounds like Boomerang works great. Why would Google fix what ain’t broke? Aren’t you just asking Google to foot the bill? The thing about Boomerang for Gmail is that it’s a giant hack. It’s messy. It sometimes feels like it shouldn’t work at all. It has to inject buttons into your existing Gmail web client, buttons which sometimes need to pop up new browser windows to authenticate you with the Boomerang service before it starts working. It has to redirect your Boomerang messages to its own third-party servers so it can schedule them for later—and on rare occasions, I’ve seen them disappear into the ether. And most importantly—if you ask me, anyways—you can’t use it in the Gmail app on your phone. Obviously, when I’m mobile is when I *most* need a service like Boomerang, because it’s harder to type and set effective reminders on the go. Boomerang does have its own email app, but it’s no Gmail, and I’m not going to be switching anytime soon. If Google bought Boomerang—or developed competing features, I suppose—it could bring these bounties to everyone, everywhere. (It feels like a shoe-in for Android Wear smartwatches, too.) Hell, maybe it could even tap into my Google Calendar to see when I’d be most free to deal with those emails, and automatically suggest those times the next time I Boomerang an email. And yeah, sure, I wouldn’t mind having my $150-a-year back, too.